The graduate program in Cellular Physiology and Biophysics includes a training program in Translational Cardiovascular Research. This is an optional program for students interested in pursuing advanced graduate training in cardiovascular biomedical research. 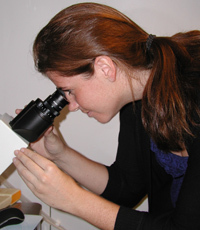 It is a unique NIH funded program that also supports postdoctoral fellows. The training program in Translational Cardiovascular Research is conceived to enhance and ensure the development of cardiovascular scientists who have broad-based knowledge in the fields of Cardiovascular Cell Biology, Biophysics, Genetics and Genomics, Bio- and Tissue-Engineering and Clinical Sciences. The training is based within the Clyde and Helen Wu Center for Molecular Cardiology, the Department of Physiology & Cellular Biophysics, and the Department of Medicine. The Center and the Departments of Physiology and Medicine offer a Cardiovascular Seminar Series and journal clubs, joint laboratory meetings, and retreats, which are designed to encourage collaborations and foster excellence. This component of the Department’s Graduate Program seeks to prepare tomorrow’s cardiovascular scientists and endow them with clinical/pathophysiological insights, developing a group of investigators that is focused upon clinically relevant investigation in matters pertinent to heart and vascular diseases. Applicants may have co-mentors, one with primarily basic science expertise and one with translational/clinical science expertise. Students can choose to apply to the training program in Translational Cardiovascular Research at any time during the first two years of their graduate training. If applicants think they may be interested in this program they can indicate this in their application essay and ask to meet with some of the faculty involved in the cardiovascular research program (Andrew Marks, Henry Colecraft, Ira Tabas, Jeanine D’Armiento, and Alan Tall) during the interview process but this is not a requirement. No special application is required, merely discussion with the student’s advisor. The process is straightforward, simple and requires no extra work on the part of the applicant. Based on an evaluation of the student’s interests jointly with the student’s mentor the mentor recommends the student to the training program in Translational Cardiovascular Research and the student is formally accepted into the program by the program directors. Co-mentorship Co-mentorship of our trainees is offered such that each trainee has both a basic and a clinical mentor who will meet together monthly with the student to coordinate all aspects of their training. This not only instructs trainees in collaborative research, but also significantly enriches their training by exposing them to a greater diversity of research techniques and experiences. Multidisciplinary training and exposure to collaborative research. Trainees are exposed to multidisciplinary training through a series of lectures, journal clubs, seminars and research-in-progress meetings. The Cardiovascular Research Initiative, headed by Dr. Andrew Marks, hosts quarterly symposia focusing on the presentation of cutting-edge science from within the university. In addition, the annual retreat for the training program pre- and post-doctoral trainees features presentations from trainees and a keynote lecture from a faculty member. Drug Development The training program includes a unique required course that provides in-depth training in the fundamentals of drug development from target validation through proof of concept to IND filing and clinical testing. Bedside exposure/training: educating and exposing trainees to clinical manifestations of various cardiovascular diseases, to highlight the unmet needs in these areas and the challenges associated with their treatment. Trainees are paired with Cardiology fellows in the clinics and hospital, and have the opportunity to attend Cardiology Grand Rounds and Cardiology Department research seminars. This aspect of the program is overseen by Dr. Steven Marx, Director of the Cardiovascular Fellowship at NY Presbyterian Hospital-Columbia University Medical Center and the Director of the 4th year medical student clerkship in Cardiology. Trainee Development Initiative. Trainees will be prepared for obtaining funding, currently and in their futures, through a required Grant Writing course directed by Dr. Ellen Lumpkin. We also emphasize the importance of acquiring teaching and communication skills. At appropriate times in their training all students are expected to make presentations and lead sessions in all departmental activities. Annual sessions are held to focus on identification of unmet needs in the program and career development counseling. • Journal Club in Molecular Cardiology. At appropriate times in their training, trainees are asked to lead such sessions. This format provides excellent teaching experience for each post-doctoral fellow. • Joint Ion Channel Journal Club. For trainees in ion channel research labs, a monthly joint journal club, with labs from several training grants at Columbia affords an opportunity for research presentations to a specialized audience, as well as broad exposure to cutting-edge ion channel research. • Program specific trainee research seminar series. Students in the later years of their research training present their work to their peers in the absence of faculty. Visiting faculty. Recognizing the importance of exposing trainees to cutting edge cardiovascular research from leaders in the field, the training program sponsors various seminars and lectureships given by renowned scientists. Recent speakers have included: Robert Lefkowitz (Nobel Laureate, Duke), Helen Hobbs (UTSW), Shaun Coughlin (UCSF), Richard Lifton (Yale), James Rothman (Nobel Laureate, Yale), Christine Seidman (Harvard), Barry Coller (Rockefellar) and Gary Gibbons (NHLBI Director). Trainees act as hosts to the visiting faculty and also have lunch with the seminar speaker. Program Directors: Drs. Andrew R. Marks, Henry Colecraft and Stephen Marx Head of Development: Dr. Jaime S. Rubin, (Director of Research Development, Dept of Medicine). Students already admitted to the Cellular Physiology and Biophysics graduate program can choose to apply to the training program in Translational Cardiovascular Research at any time during the first two years of their graduate training. To apply, a student indicates interest through discussions with his or her current and proposed mentors who then recommend the student to the directors of the training program in Translational Cardiovascular Research, Drs Andrew Marks, Henry Colecraft and Stephen Marx.